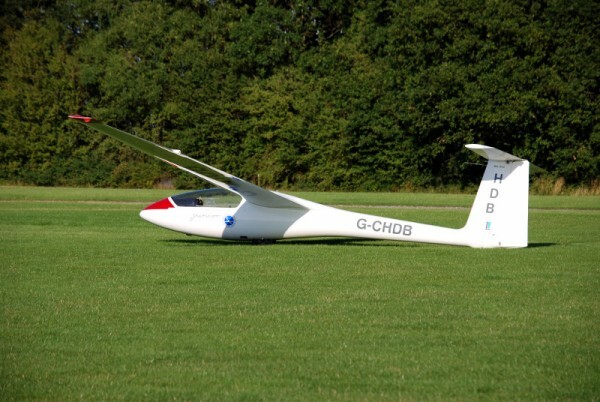 The SZD 51-1 Junior is a glass single-seat glider designed with early solo pilots in mind. The spiritual successor to the K8 in modern glider fleets, it has powerful airbrakes and a substantial undercarriage. Benign handling and a low sink-rate combined with a low thermalling speed mean the SZD Junior can stay aloft in relatively weak conditions. As pilots develop their skills, the SZD Junior also provides the opportunity for cross country flying, achieving a realistic 32:1 glide ratio. The SZD Junior is also capable of basic aerobatics such as loops, spins and chandelles so fun can be had even outside of the thermal soaring season. Stratford’s SZD Junior is equipped with a Colibri logger for early badge achievements and a Borgelt standalone electric variometer. Length: 6.69 m (21 ft 11 in). Wingspan: 15 m (49 ft 3 in). Height: 1.54 m (5 ft 1 in). Wing area: 12.51 m2 (134.7 sq ft). Aerofoil: root: Wortmann FX-S-02-196. tip: FX-S-02/1-158. Empty weight: 242 kg (534 lb). MTOW: 355 kg (783 lb). Max Glide Ratio: 35:1 @ 43kts (manufacturer figure).